The Republicans in Congress blew it when they dropped the ball on the repeal and replacement of Obamacare. Grassroots conservatives sent them to Congress and President Trump to the White House to accomplish a number of priority agenda items. Dumping Obamacare was one of them. Some of these politicians might now find themselves dumped by challengers in the upcoming Republican primaries. It would be nice if President Trump could count on and receive some real help and support from the Republican Congress. Unfortunately, it has not happened to the degree it should, and that is a disgrace to Republican congressional leadership. Nevertheless, the president is soldiering on, chipping away at the national disaster called Obamacare using the tools he has at his disposal. 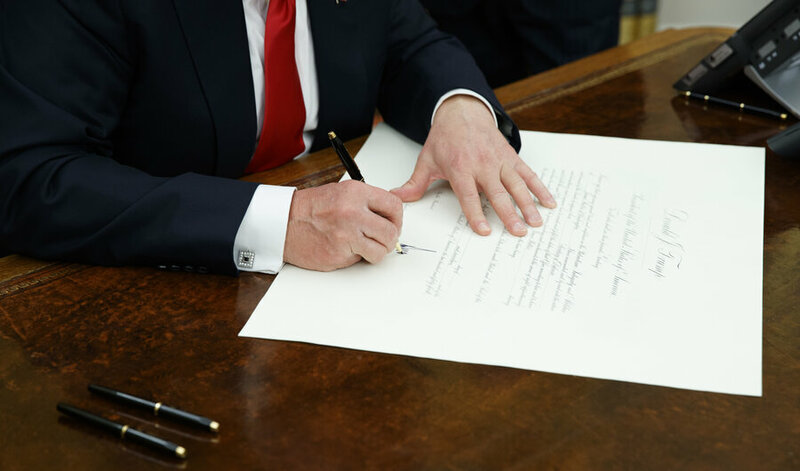 The most recent instance would be the signing of an executive order that will allow the purchase of health insurance across state lines. One might wonder why this was ever illegal in the first place. What else cannot be purchased from a party in another state? Not much. In any event, this is a win for freedom and capitalism, and another blow to Obamacare. “President Trump on Thursday took executive action on health care, calling for a plan that could let employers band together and offer coverage across state lines as Congress stalls on efforts to overhaul ObamaCare. Regardless of how “great” healthcare becomes as a result of this, the president is to be commended for his actions. After all, it’s hard for a conservative or libertarian to oppose increasing economic freedoms. It’s also great to see President Trump continuing his crusade to reduce government regulations, and his extending that to the matter of healthcare. It’s also a sign that the president is not giving up on motivating Congress to do the job it was elected to do, that being to finish off Obamacare. “‘We are going to also pressure Congress very strongly to finish the repeal and the replace of ObamaCare once and for all,’ Trump said. Senator Rand Paul, who like his father happens to be a medical doctor, is on board with the president’s executive order. Incidentally, “free markets” are free of what? Of coercion. A free market does not force participants to act in a specific way. They make their own decisions as to what is in their best interests without the heavy hand of government pressing down on them. Working from the principle of the desirability of increased freedom, the whole Obamacare fiasco should be repealed immediately. Perhaps the Republicans in Congress should observe President Trump in order to learn the leadership skills they sorely lack, and then apply those skills to the task at hand, thereby sending Obamacare to the ignominious end it deserves.